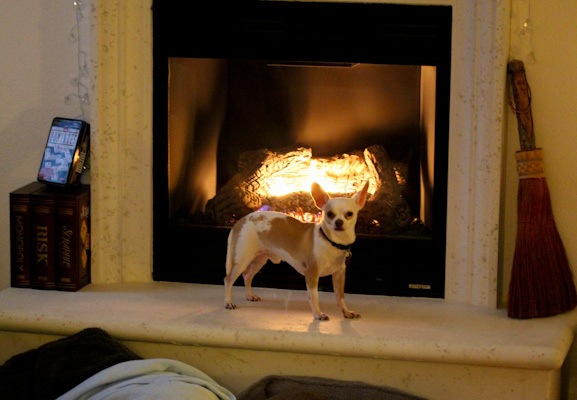 Miko had a great weekend toasting in front of the fireplace and playing. I wish I could say the same, but I’ve been in a funk the last few days feeling cranky, tired, maybe slightly stressed about the holidays and money, and frustrated. It’s a pretty common thing for me in November for some reason, I notice it every year and refer to it as the November crazies. Maybe it’s partly a buildup of issues and stresses from the year and just a general case of the blahs mixed with holiday madness starting. Even a great run yesterday didn’t improve my mood for long and by dinner time, I was not feeling inspired at all. 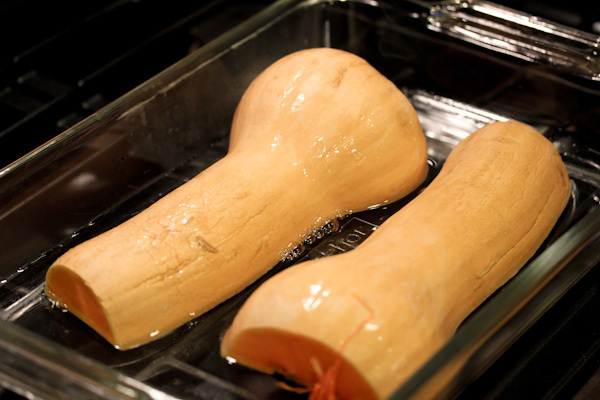 But thankfully I had a butternut squash to roast. 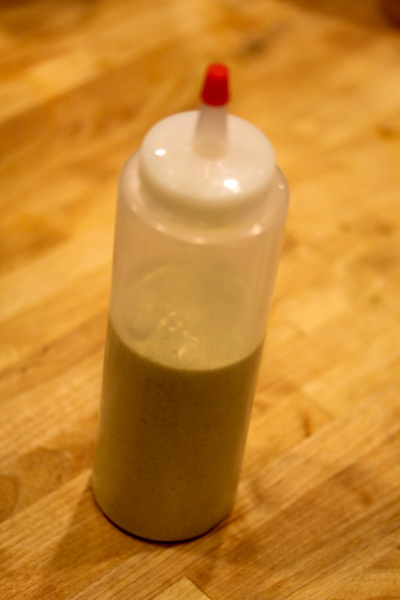 And plenty of fresh rosemary in the garden, so I made a batch of my Creamy Hemp Sauce because it pairs so well with squash for me. 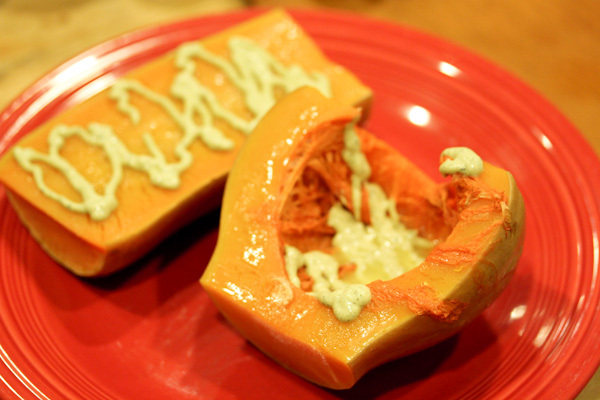 Dinner was very simple, pieces of baked squash coated in the sauce. And it was a delicious combo! 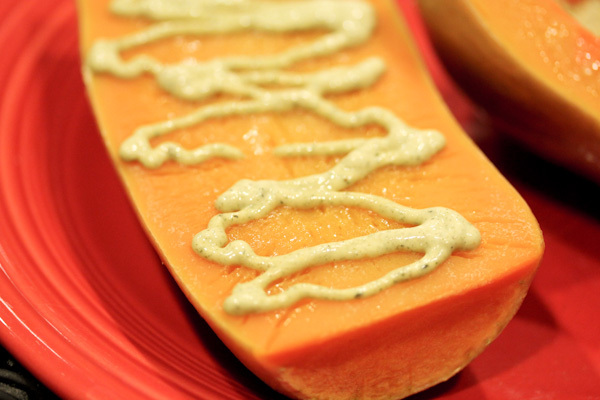 The creamy sauce mashed in very easily with the soft baked squash using simply a fork and it added a savory richness and smooth texture. And I still had sauce leftover to use for dinner tonight. 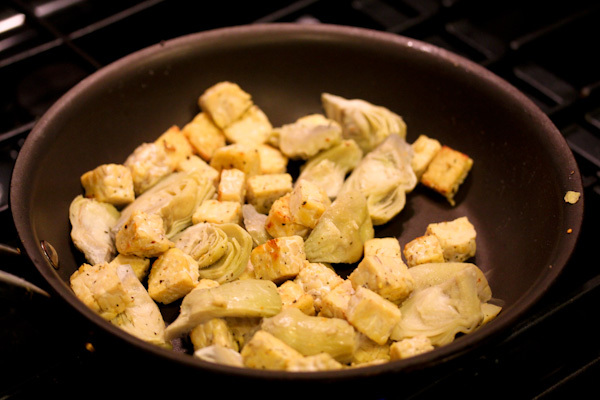 I lazily sauteed chopped tempeh and frozen artichoke hearts in a little olive oil, salt, and pepper. 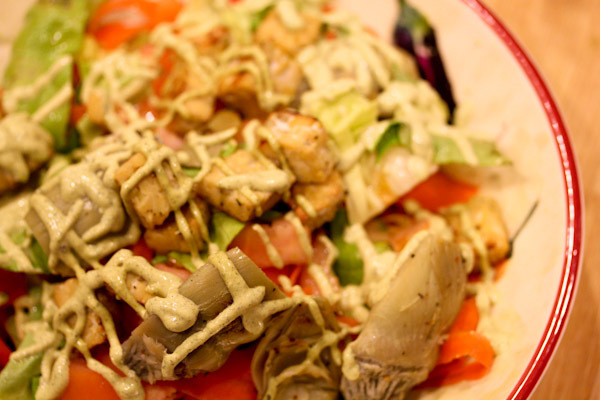 And topped a simple salad with the mixture before covering in the sauce. 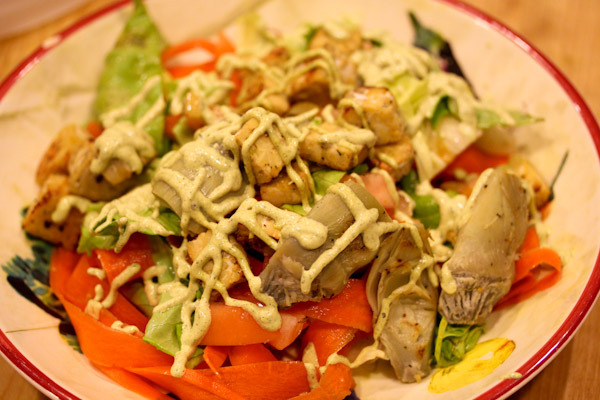 For a simple salad dinner, it was very filling and tasty. 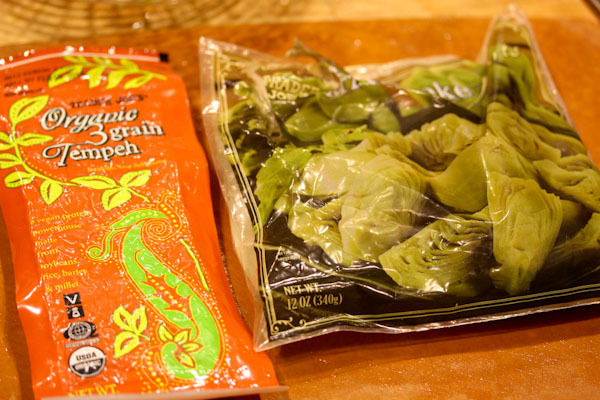 The nutty flavor and texture of the tempeh went perfectly with the creamy sauce. im in a funk too. having this week off helps but i am struggling with self image and money too! hang in there christine…….